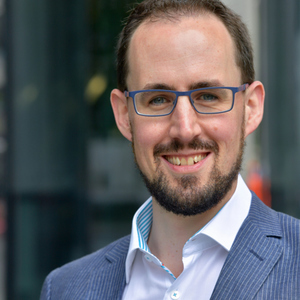 Richard was previously Global Head of Digital Development at HSBC, and is currently on Gardening Leave before he starts his new challenge at TSB. Richard Davies has been a guest on 6 episodes. We’re live from the 11:FS offices in Aldgate Tower to bring you After Dark V live! Simon, Ross, and new host Sarah are joined by Megan Caywood, Liz Lumley, and Richard Davies. The panel talk about the latest weird and wonderful news from the world of fintech. Today we’re bringing you a special bonus episode of Fintech Insider. Ross sits down with Richard Davies, Commercial Director, TSB to discuss their new design competition. Collaborating with 11:FS, the competition aims to bring in more innovative tools for small businesses to thrive. In this episode Laura Watkins and David Brear take a look at the last week’s top stories, alongside Jeff Tijssen, Monzo’s Leah Templeman and Bud’s Ed Masleveckas. In this episode, Simon and Jason are joined by Chris Skinner, Tanya Andreasyan, Kristian Luoma and Cliff Evans, to take on the week’s top stories. It's the After Dark Christmas Special and that means we're bringing you a recap of all the top stories from 2017, recorded in front of a live audience. Regular hosts Simon Taylor, David M. Brear, Jason Bates and Chris Skinner are joined by friends of the show Sarah Kocianski and Leda Glyptis. Ep. 130. News: How big is the Shadow Economy? David, Jason and Simon are joined by Dave Birch and Richard Davies for this week's news.